Charro is a term referring to a traditional horseman from Mexico, originating in the central-western regions primarily in the state of Jalisco including: Michoacán, Zacatecas, Durango, Guanajuato, Morelos and Puebla. 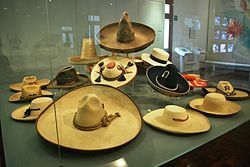 The terms Vaquero and Ranchero (Cowboy and Rancher) are similar to the Charro but different in culture, etiquette, mannerism, clothing, tradition and social status. The "charro film" was a genre of the Golden Age of Mexican cinema between 1935 and 1959, and probably played a large role in popularizing the charro, akin to what occurred with the advent of the Hollywood Western. The most notable charro stars were José Alfredo Jiménez, Pedro Infante, Jorge Negrete, Antonio Aguilar, Vicente Fernández. 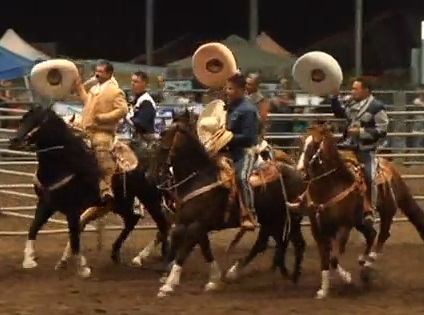 In both Mexican and US states such as California, Texas, Illinois, Zacatecas, Michoacán, Jalisco, charros participate in tournaments to show off their skill either in team competition charreada, or in individual competition such as el coleadero. 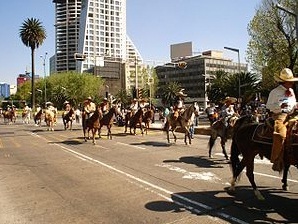 These events are practiced in a Lienzo charro. 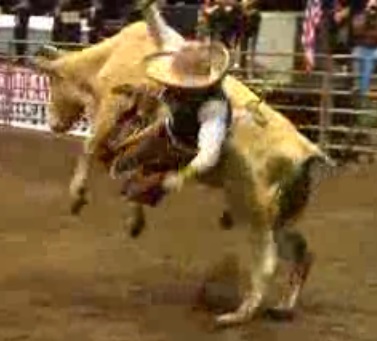 The lienzo charro can also become a circle used for bull riding. Some decades ago charros in Mexico were permitted to carry guns. In abidance with the current law the charro must be fully suited and be a full pledged member of Mexico's Federación Mexicana de Charrería.